The Jumbos are back at Zuckerman’s stall at the Ferry Plaza Farmers Market. 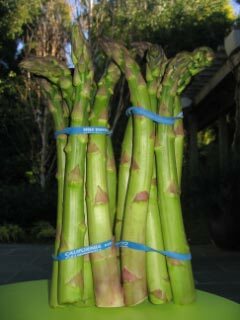 And by Jumbos, I mean the plump and delicious asparagus that are my marker of spring. They’re back. And we’re in line early. You should be too.